A/Professor Taixiang Wu, is the Administrator of the Chinese Clinical Trial Registry, one of the Primary Registry of WHO ICTRP. He initiated and is activating on the clinical trial transparency, established the Chinese Clinical Trial Registry, Chinese Ethics Committee of Registering Clinical Trials, Chinese Clinical Trial Registration and Publication Collaboration, Publication Ethics Committee of Chinese Medical Journals, he is a pioneer and practitioner of initiative the theory of clinical trial transparency, organizations and service system in China. Executive Officer/ Nursing Officer, Centre for Clinical Research and Biostatistics, Division of Biostatistics, Faculty of Medicine, The Chinese University of Hong Kong. Ms. Lai obtained her Bachelor of Nursing Degree from University of Manitoba (Canada) in 1994 and her Master Degree in Public Health from the Chinese University of Hong Kong in 2004. In 2001, she completed training in “Protocol Development and Cancer Epidemiology” at the McGill University (Canada). Ms. Lai is a Certified Clinical Research Professional of the Society of Clinical Research Association (SoCRA) in US 2004. She received training on “Practical GCP compliance auditing of trials and system” from DIA in UK. In April 2008, she was accredited as the approved trainer of Association of Clinical Research Professionals (ACRP) in US, and also served as the By-law Chair of ACRP Asia-Pacific Region Chapter 2012-14. Ms. Lai also is the primary administrator of the WHO Clinical Trials Partner Registry taking on the lead to meet international standard for clinical trials registry in Hong Kong. Ms. Lai has over 20 years of clinical research experiences. She was the Head Study Nurse in the Department of Clinical Oncology of CUHK. She coordinated and managed research activities within the Department with a multi-disciplinary team, and has experience in managing multi-centre trials. Ms. Lai later extended her works to research areas other than Clinical Oncology, especially focus in the implementation of quality control and quality assurance process. In 2005, she worked with 10 disciplines at the Prince of Wales Hospital and the Department of Health of Hong Kong, for the preparation of SFDA (now CFDA) inspection and obtained the accreditation in 2006. Later she also successfully completed 2009 and 2012 re-inspections and obtained accreditations. Ms. Lai has the opportunity to build and establish the CUHK Phase I Clinical Trials Centre in 2013. Since 2014, she continues to extend her interest in the field of medical devices and computer assisted device (CAD) development. Ms Lai also has experience in research nurses/clinical research coordinators training and investigators training conducted in Hong Kong SAR, Guangzhou and Shanghai (Mainland China), Taiwan, Singapore, Korea and Australia (Sydney). She has strong interests in establishing Clinical Research Professionals and GCP trainings for clinical staff in research centers of different countries and interested in innovative health care technology development. 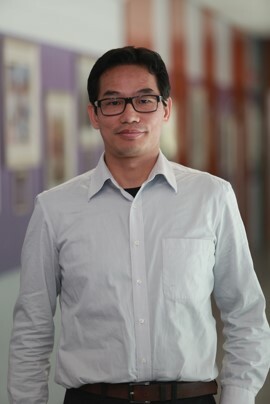 Dr. Chong received his MSc in Statistics and PhD in Public Health from the Chinese University of Hong Kong (CUHK) in 2006 and 2011 respectively. He is a biostatistician and SAS programmer in Centre for Clinical Research and Biostatistics (CCRB, former Centre for Clinical Trials) since 2006. He is involved in various study design, data management, and statistical analysis for academic and industrial clinical trials of different phases. Dr. Chong is also a postdoctoral fellow in the JC School of Public Health and Primary Care, CUHK. His main research interest is system dynamic modelling in infectious diseases transmission (e.g. influenza and measles) and healthcare system (e.g. elderly care, accident and emergency services). Dr Lai received his PhD degree in Statistics from University of Science and Technology of China. Meanwhile, he also received a joint-PhD degree from City University of Hong Kong. Currently, he is an Instructor of the School of Public Health and Primary Care under Division of Biostatistics, responsible for teaching, tutorial and research which are related to statistical methods in clinical trials and public health. 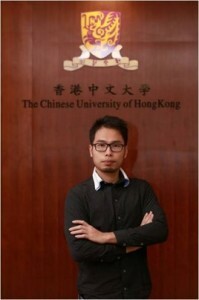 Prior to joining CUHK, Dr Lai was a Research Associate in City University of Hong Kong from 2007 to 2009. His research interests are primarily in the areas of the statistical methods for clinical trial data, including long-term survivor models in multi-centre clinical studies and applications of generalised linear mixed models. Since 2010, he has been the investigator of serval research projects conducted in both mainland China and Hong Kong, focusing on clinical trial design, statistical monitoring of surgical outcomes. Dr Lai is currently working with industry to design and carry out clinical trials that satisfy both academic and industry interests. Dr. Jack Lee, a co-founder of Health View Bioanalytics Limited in Hong Kong and the chief researcher for the medical device development related projects. He worked in Chinese University of Hong Kong as a biostatistician/bioinformatics scientist since 2004 till now. His main research area at the early stage was the methodology developing in Bioinformatics and then focusing on methods development in Biostatistics related to image processing for retinal images associated to diseases such as Diabetic and etc. He has a long-term experience as a Statistical Consultant, Teaching staff and Researcher during the studying periods in Canada. At the same time he has supervised or consulted for more than hundreds of projects or papers in CUHK since 2004. With other core member Professor Benny Zee have accomplished a number of patent applications, and developed a fully automated retinal image analysis system as well. Prof. Benny Zee is Assistant Dean of Research for the Faculty of Medicine and also Professor and Director of the Centre for Clinical Research and Biostatistics and Head of the Division of Biostatistics in the JC School of Public Health and Primary Care, Chinese University of Hong Kong (CUHK). He holds honorary appointments in the Department of Clinical Oncology and the Department of Statistics of CUHK. 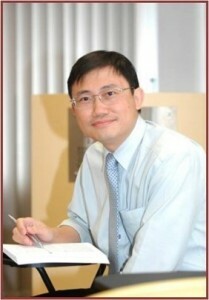 He is also the Chairman of the Joint CUHK-NTEC Clinical Research Ethics Committee since 2006. Professor Zee has strong interest in various aspects of multi-center clinical trials, including statistical methods, data management, drug and medical device development. On the methodological side, he is active in Biostatistics research, especially in the area of clinical trials design, bioinformatics, quality of life, data & safety monitoring and other statistical issues. He has experience in the development of efficient data management procedure using advanced computer technology, plus ample experience in working with industry to design and to carry out clinical trials that satisfy both academic interest and industry objectives. He has tremendous experience in the development of hospital infrastructure such as Ethics Committee, GCP Centre and quality assurance team to carry out clinical research in hospitals that satisfies regulatory and international requirements. He is also active in medical devices development such as “automatic retinal imaging analysis system (ARIAS)” and serves in the Centre for Entrepreneurship of CUHK. He had published more than 172 international peer reviewed journal articles and serves in various committees including advisory committees for drug development and data & safety monitoring committees for international drug trials.